What initially was self-reflection to heal wounds and renew hope became James Robert Russell’s newest work, “Delicious Rejection: The Memoirs of a Hopeless Romantic” (published by iUniverse). “Delicious Rejection” chronicles a life from boyhood to manhood through short stories, poetry and personal observations. 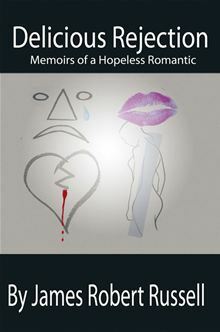 It is passionate, descriptive, humorous, and often times painful, but ultimately a valiant search for love and romance.